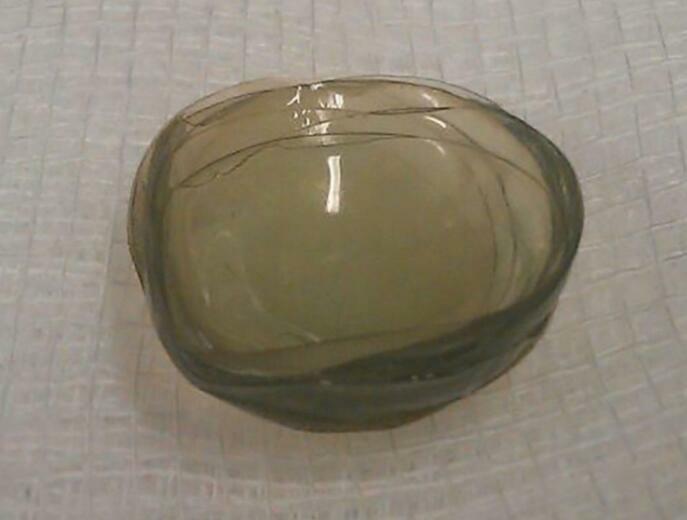 A brief write-up in the British Medical Journal claims that doctors found 27 contact lenses in a 67-year-old patient's eye when she was being prepped for surgery at England's Solihull Hospital. The piece was authored by Rupal Morjaria, a specialist trainee ophthalmologist, Richard Crombie, a consultant anesthesiologist and Amit Patel, a consultant ophthalmologist. he lenses were clumped together in a "blueish mass" and were "bound together by mucus," according to the journal. "She was quite shocked," Morjaria, who worked on the patient, told Optometry Today. "When she was seen two weeks after I removed the lenses she said her eyes felt a lot more comfortable." The patient, though, wasn't the only person who was shocked. "None of us have ever seen this before," Morjaria said. In fact, she chose to publish the case because most doctors didn't think it was possible for someone to lose so many contact lenses in their eyes without suffering from severe symptoms. The patient had worn monthly contact lenses for 35 years, and she rarely visited the eye doctor during those years. But she had cataracts, so last November, doctors were injecting anesthesia into her eyes for surgery when they paused, surprised by the bizarre discovery. "It was such a large mass," Morjaria said. "We were really surprised that the patient didn't notice it because it would cause quite a lot of irritation while it was sitting there." "Patients do sometimes present with a contact lens stuck under their upper eyelid, particularly if they are new to contact lens wear, or have problems with dexterity, but finding this many lenses stuck in someone's eye is exceedingly rare," Association of Optometrists clinical and regulatory officer Henry Leonard told Optometry Today. "Most patients would experience significant discomfort and redness, and be at risk of eye infections." They were also confused by how they got there. Perhaps it's because she had "deep set eyes, which might have contributed to the unusually large number of retained foreign bodies," the paper in BMJ stated. Immediately, they postponed the pending surgery. "Because she had harboured these contact lenses in her eye for an unknown length of time, if we had operated she would have had a lot of bacteria" in her eye, Morjaria said. Morjaria hopes that contact lens wearers who see the story will take a little more caution. "In this day and age, when it is so easy to purchase contact lenses online, people become lax about having regular check ups," she said. "Contact lenses are used all the time, but if they are not appropriately monitored we see people with serious eye infections that can cause them to lose their sight." Some, though, have questioned the story. "How is this even possible? How did she not feel the lenses?" tweeted one user. "How does that happen? I wear my dailies for an HOUR too long and my eyes start the rejection process: goop, itching, hide-n-seek," tweeted a second. "Still wondering how? I've accidentally put 2 in same eye, (2 hrs sleep, don't judge), you notice immediately. the crazy vision alone," tweeted a third.